Markets, tapas bars and record-breaking restaurants are all on the menu, says Sarah Marshall. Raucous, at times even riotous, a tour of Madrid’s tapas bars is every bit as worthwhile as seeing powerhouse art gallery Museo del Prado and the colonnaded Plaza Mayor. The loud-mouthed, boisterous city may not lay claim to its own dish, but you’ll find restaurants, bars and delis serving some of the best regional Spanish food. Experiment with cecina (cured beef) from Leon, mojama (salt-cured tuna) from Cadiz and sherry from Jerez. According to a survey by Booking.com, 75% of global travellers are likely to choose for their next destination a location renowned for its great food and drink. More than a third say food is what they remember most vividly about a place. For a true taste of Madrid, these are the foodie experiences you must sample. Dining in this rickety four-floor warren of a restaurant is sampling a slice of history. Founded in 1725, it’s been named the world’s oldest restaurant by The Guinness Book of Records. 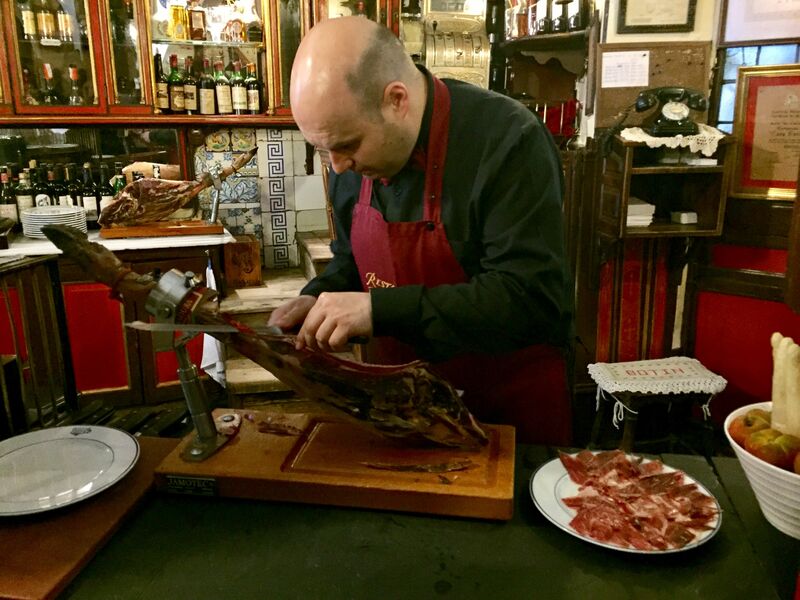 A dapper waiter slices Iberico ham in the reception, while the original wood-burning oven slow roasts about 50 piglets a day. The tender pork dish is a classic and features on a recommended three-course house menu (€45 including half a bottle of wine). 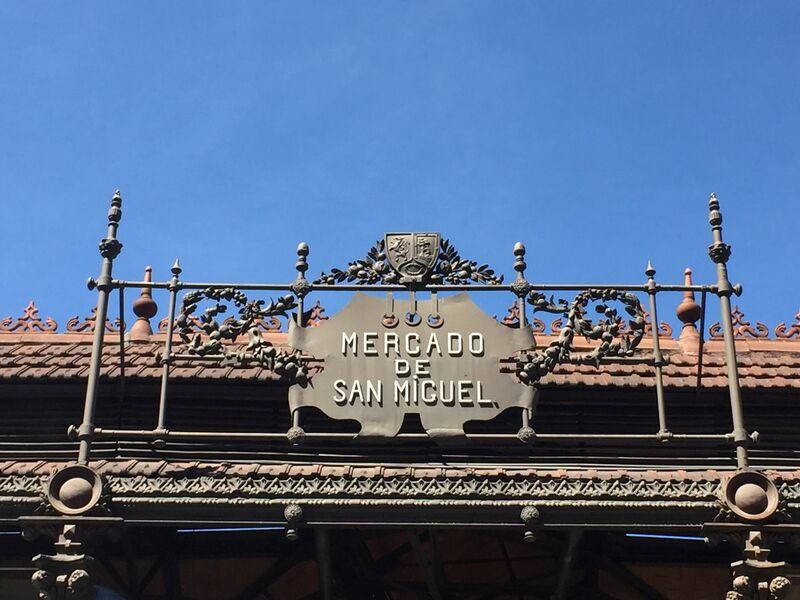 Revamped and renovated, the covered San Miguel market, just off Plaza Mayor, is filled with deli delights. Fried calamari rings in paper cones, fresh spider crabs on ice and fried churros are all beautifully displayed. Many people come here simply to snap photos and gaze up at the curling wrought iron roof. Prices reflect the venue’s popularity, although a cheaper (and more authentic) alternative market is an easy 20-minute walk away. Set below a flamenco school (worth a snoop if you get a chance), Anton Martin (on Calle de Santa Isabel) has stalls selling hams and vegetables from Monday to Saturday. 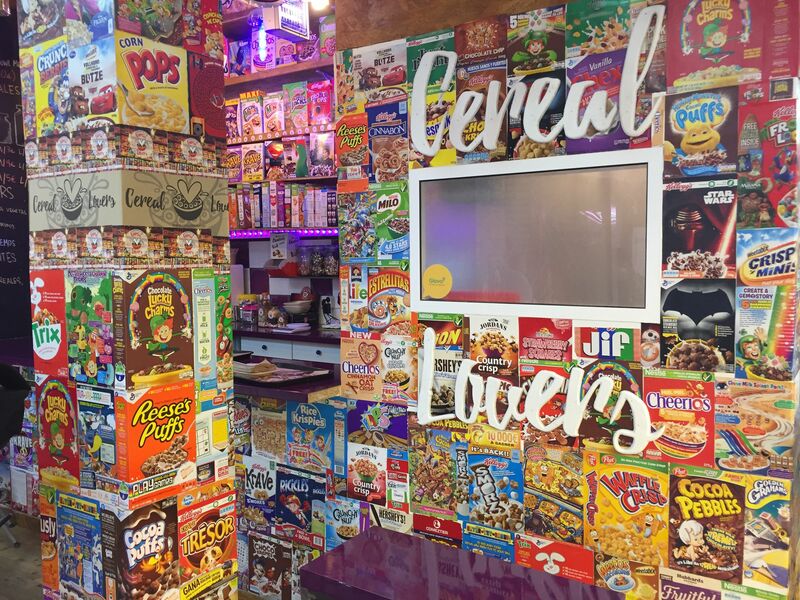 Head to the second floor to find several small, colourful restaurants, including Cereal Lovers, a quirky homage to breakfast giants Kellogg’s and Quaker (bowls from €4), and Latazo, where you can fill up on dishes made with tinned fish (tapas from €1.50). 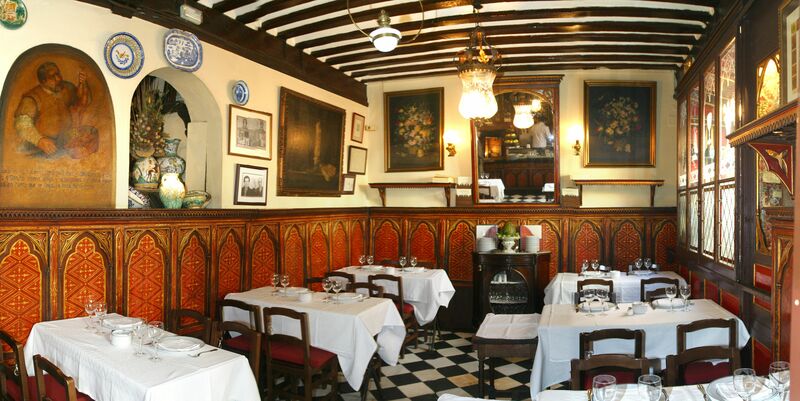 Specialising in preserved figs, peppers and meats from the Bierzo region in northwest Spain, this well-priced, wood-panelled restaurant is a favourite with Madrileños – especially for (late) lunch. Turn up from 2pm if you want to join the noisy throng (although they do start serving from midday). Although not always Instagram-worthy, the generous, belly-stretching dishes are superb – particularly the salt-crusted, thin-sliced buttery steak with zoupieros figs and fries (€18). 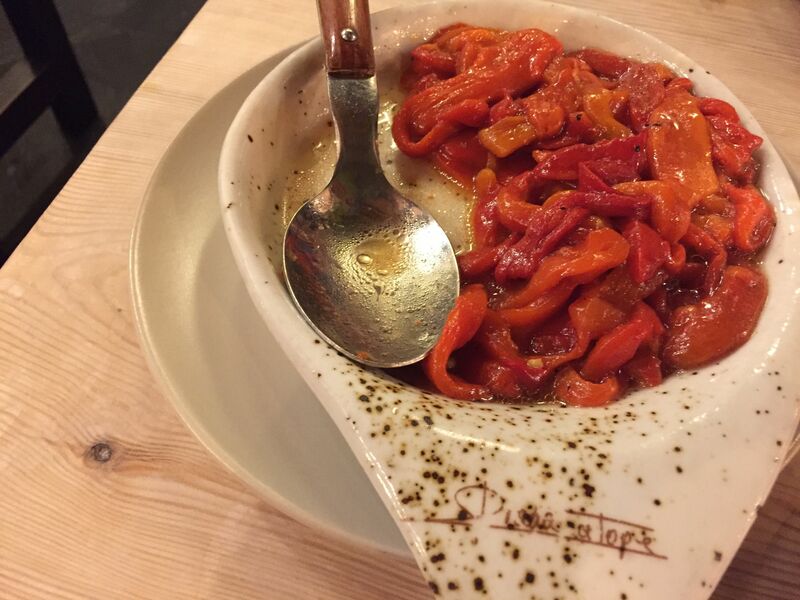 An unspoken code governs the etiquette of tapas dining in Madrid, which can be intimidating for the uninitiated. Menus (if any) will generally be Spanish chalk-scrawls on blackboards, and getting an order in requires deft elbow manoeuvres to secure a space at the bar. Let someone else do all the hard work by booking a food tour. Yorkshire lass Jo Wivell moved to Spain many years ago to follow her passion for flamenco, and now runs the excellent Insider’s Madrid (insidersmadrid.com). 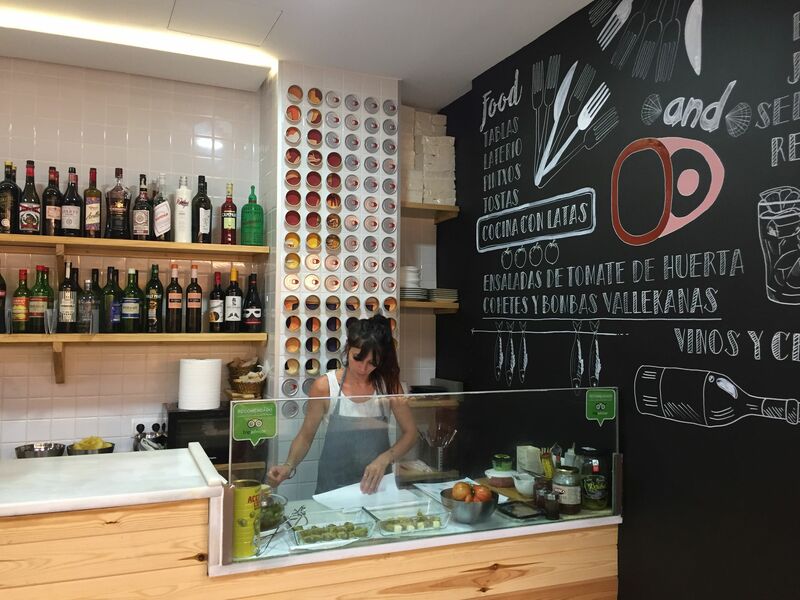 Book a bespoke tour with Jo and she’ll show you all the best spots, including La Venencia, where grumpy staff serve sherry in a magical space stacked with wooden casks, and Emma Cocina (opposite the San Miguel market), a rare place to find salads in the city (from €10). A three-hour tour with all you can eat and drink in four stops costs from £144 per person (minimum 2 people). Discounts apply for bigger groups. Jo might even treat you to an impromptu dance performance! Cool, charming and breezily stylish, this young, energetic hotel perfectly sums up the spirit of Madrid. 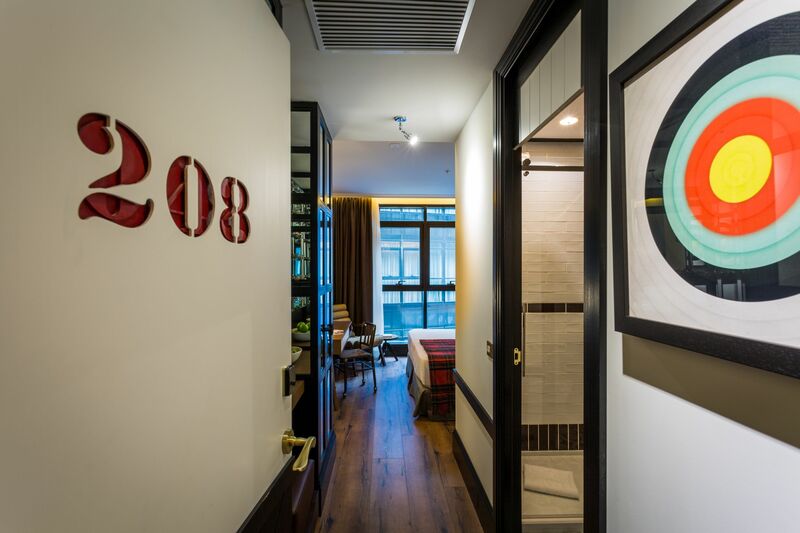 The 205 rooms are compact but filled with everything the millennial traveller might need: multiple USB points, glossy magazines, large rain showers and, in suites, even high-tech pro hairdryers. Find a Dreams & Fears notebook next to the bed and alphabet biscuits on pillows at turn down. 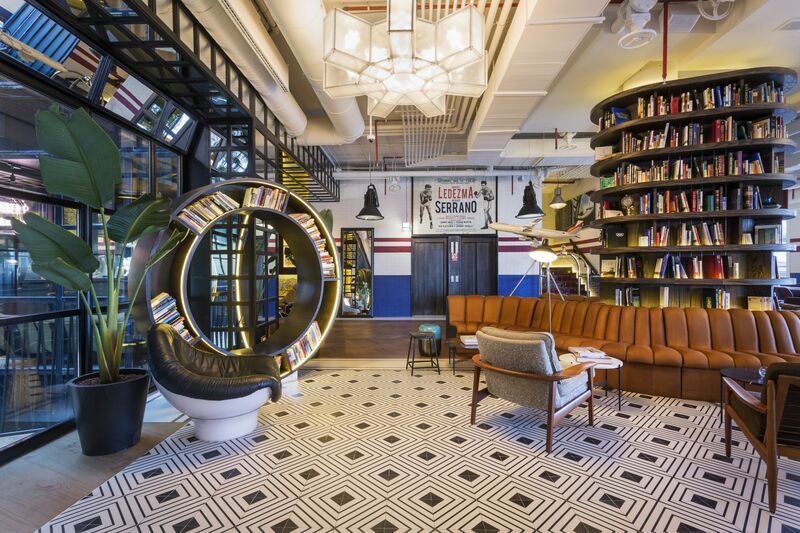 Dark corridors in exposed brick are decked with baseball hoops – making the place look a bit like a giant gym – although the social spaces are much more inviting. Downstairs, the reception area is filled with comfy, body-swallowing leather sofas and swirling, circular book cases stocking some interesting reads. A barber’s shop, patisserie and beauty salon are also under the same roof. But the real star is the SEP7IMA rooftop bar, with views of the neighbouring Atocha railway station. A breakfast buffet is served daily at tables decorated (bizarrely) with vases of lettuce leaves, and at night cocktails and champagne flow. The classy concoctions cost €14. Booking.com has two nights at Only YOU Atocha from £350pp B&B with flights from London Gatwick.